With more than 2,3 million entries, the Dissertation Abstracts database is a very useful source for information about doctoral dissertations and master’s theses in the United States in over 700 graduate schools and universities. More than 70,000 doctoral works are added yearly to the database, which includes bibliographic references from the first U.S. dissertation (dated 1861) to those held last semester. About 550,000 dissertations in the social sciences areas (i.e., about 65,000 in political science, 110,000 in sociology, 90,000 in economics, etc.) are recorded. An abstract, written by the author, is also provided for those dissertations published from 1980 forward as well as a shorter one for master’s theses from 1988 forward. To access the entire database participation in a subscribed institution is needed. 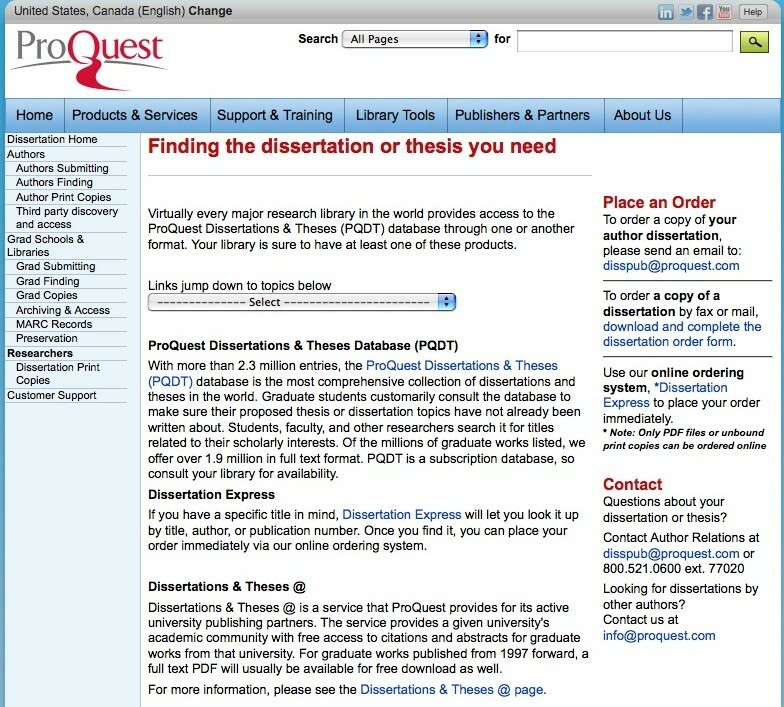 Institutional subscribers receive online access to the complete dissertation list since 1997. Material is retrievable in pdf format and tiff images and free trials (only for institutions) are offered. Being a subscription-only database, PQDT offers free access to citations and abstracts for graduate works from partner universities. For graduate works published from 1997 forward, a full text PDF will usually be available for free download as well.